This movie craft for kids inspired by Mr. Peabody & Sherman is a great way to bring the movie magic home! This post contains affiliate links. Are you looking for some wholesome family fun? If so, why not head to the movies and catch Dreamwork’s Mr. Peabody and Sherman movie? A new and refreshing spin on an old classic, this is one flick that is sure to bring you and your family lots of laughs and excitement. In this film, Mr. Peabody and Sherman travel to the past and witness some important events in history. It is a great film to open up conversations with your own little historians in a way that is fun and inviting. When you are done seeing the movie, why not keep the fun going with a Mr. Peabody and Sherman movie inspired craft? Take a look below at how to create your own Mr. Peabody and Sherman inspired time capsule movie craft for kids. We were able to find all of our supplies at our local dollar store. It is the perfect place for finding inexpensive supplies for crafts such as this. 1. 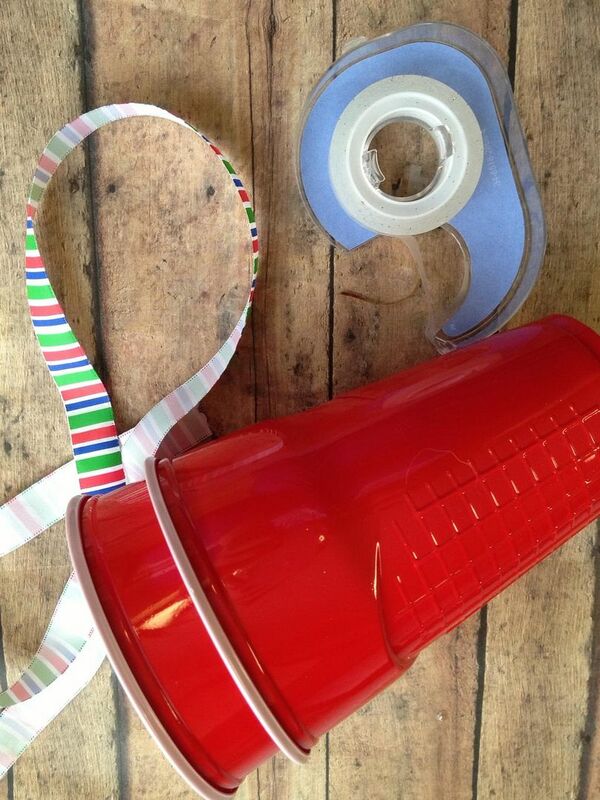 You want to begin by embellishing the cups with ribbon. 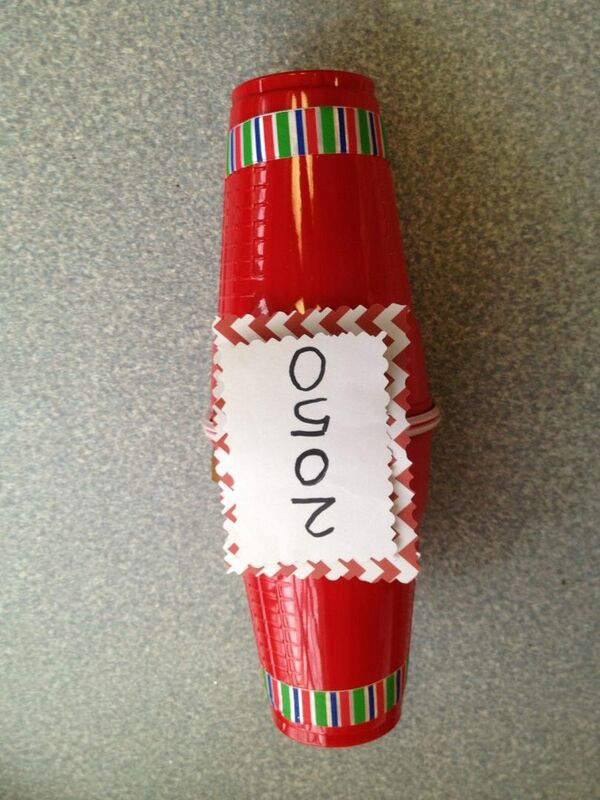 To do this, we simply wrapped the ribbon around the cups and taped it in place. You can put as much ribbon as you desire. 2. Fill the cups with objects of your choice. Examples perfect for a time capsule craft like this would be a newspaper article with the date, pictures, current prices of food (like a grocery ad) or anything else you find relevant. Fit as much as you can in the cup. Be sure all items are dated so when the capsule is open you know when it was created. 3. Close the second cup over the first so that they seal each other closed. Wrap tape around the spot where the two cups meet. You want to be sure they are secure and staying together nice and tight. 4. Label your time capsule craft by writing the opening date on a piece of paper and taping it to the front of the time capsule. You can choose any date you wish. You can now store your time capsule craft away for opening later. Since this particular time capsule craft is not waterproof, you will want to place it somewhere dry. A drawer or cabinet is perfect. Or, you can always put it in an airtight bag and bury it if you wish. The airtight plastic bag should be able to seal out most moisture. Give this fun Mr. Peabody and Sherman movie craft a try. This time capsule craft is so easy to make and so entertaining, kids are sure to have a ball! Looking for more great movie crafts for kids? Check out our fun Nut Job craft! We also have great Lego movie party games ideas for you! That looks like such a fun idea. I have to try this with my daughter. That’s such a great idea, right up my alley! I love it when a movie outing can be stretched into something meaningful and lasting. I can’t wait to see this movie when it starts. Doing crafts until it gets here is a good way to build up anticipation. I love the idea of making a time capsule to go with the movie, fun! So clever. My daughter is so excited about that movie. How fun! My son has been bugging me to see the movie since he has seen the preview. I am going to have make this and have him take it with us to the movie. Thanks for sharing! Fun! We took our grandsons to see the Lego Movie and the preview for Mr Peabody and Sherman came on and they were so excited about seeing it. This will be fun to do after the movie! Can’t wait for this movie! Great idea! Thanks for sharing at The Weekend Retreat, Hope to see you back next week! We just saw the Lego Movie and I’m looking forward to this one too. Cute craft idea! Popping over from the Flamingo Toes link-up!